Items found to be defective may be returned within 20 days of the purchase date for replacement only. If a replacement is not available, the purchaser will have the option of a refund or store credit equal to the full purchase price. Returned items are shipped to Electron Jon's at purchaser's expense and risk. Replacements are shipped to purchaser at our expense and risk. Items found NOT to be defective will be returned at purchaser's expense. High Quality stainless steel safety clips for 10mm ball socket end connectors, commonly used with gas support struts for automotive and other applications. 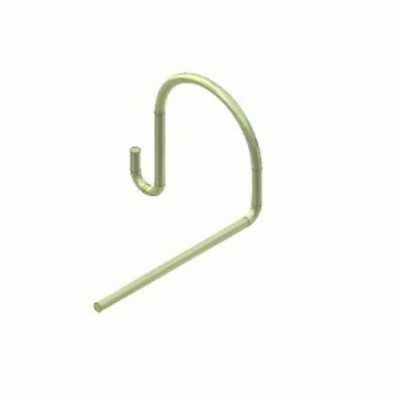 Safety clips are critical when using steel ball sockets with studs. 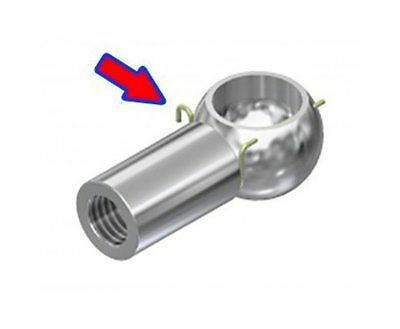 They ensure safe operation and prevent the stud from popping out of the socket when force is applied.